16.. Banikapura annexed by Bhaktapura. Nepal under the Shah (Saha) dynasty. Sirmur, (Tehri-)Garhwal (from 1804) and Tharoch. 1792 - 1908 Nominally a tributary of China. 15 Mar 1816 - 21 Dec 1923 De facto British protectorate. ¹Style of Licchavi rulers from c.1200: Rajadhiraja Paramesvara Paramabhattaraka Sri Sri N.N. Vijayarajye Nepala. 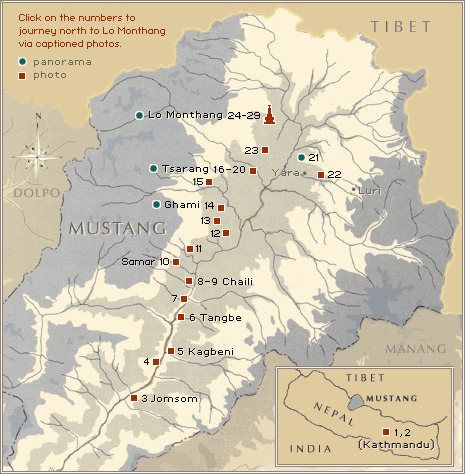 Territorial Disputes: Joint border commission continues to work on contested sections of boundary with India, including the 400 square kilometer dispute over the source of the Kalapani River; India has instituted a stricter border regime to restrict transit of Maoist insurgents and illegal cross-border activities; approximately 106,000 Bhutanese Lhotshampas (Hindus) have been confined in refugee camps in southeastern Nepal since 1990.
of Tibet and later Jumla. 1544 - 1560 Occupied by Jumla. 1790 Under suzerainty of Nepal. 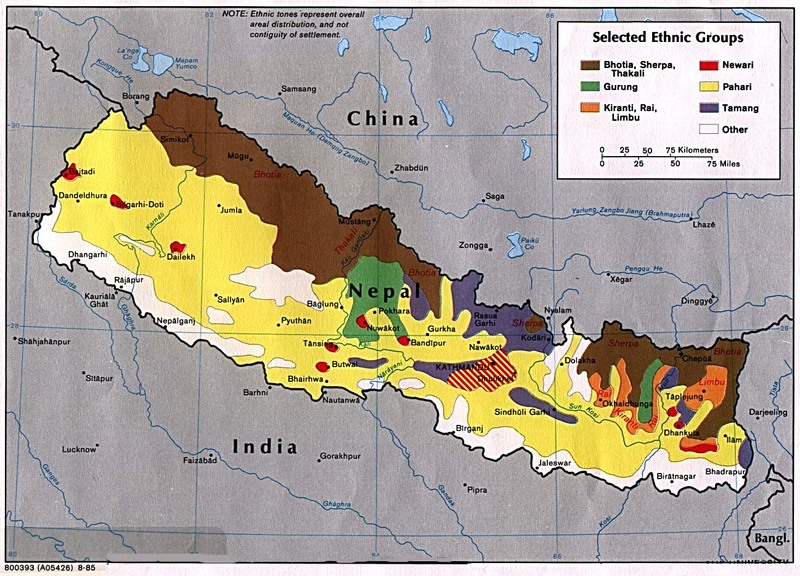 5 Oct 1961 Nepal-China boundary treaty confirms inclusion within Nepal. 7 Oct 2008 Traditional kingship abolished by Nepal. by joining Guge with Purang.